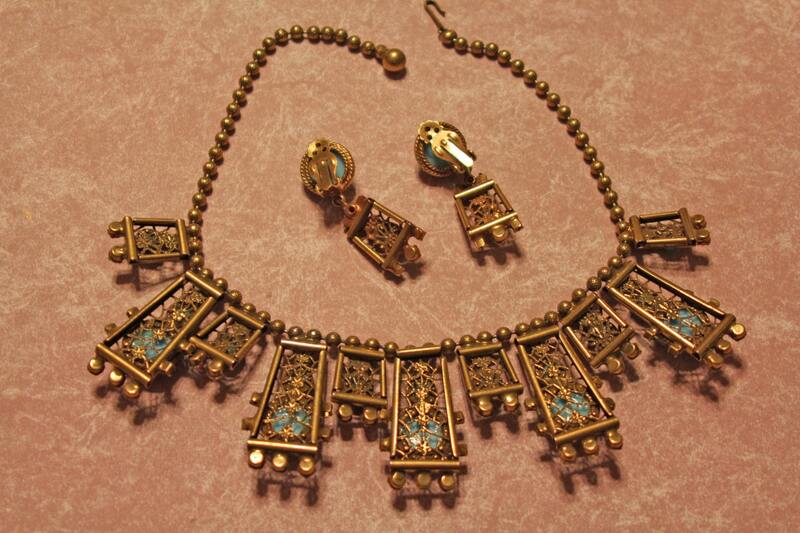 Juliana Ball Chain Design Moroccan Matrix turquoise Necklace, Rarest style necklace is first seen in 1971 design books. 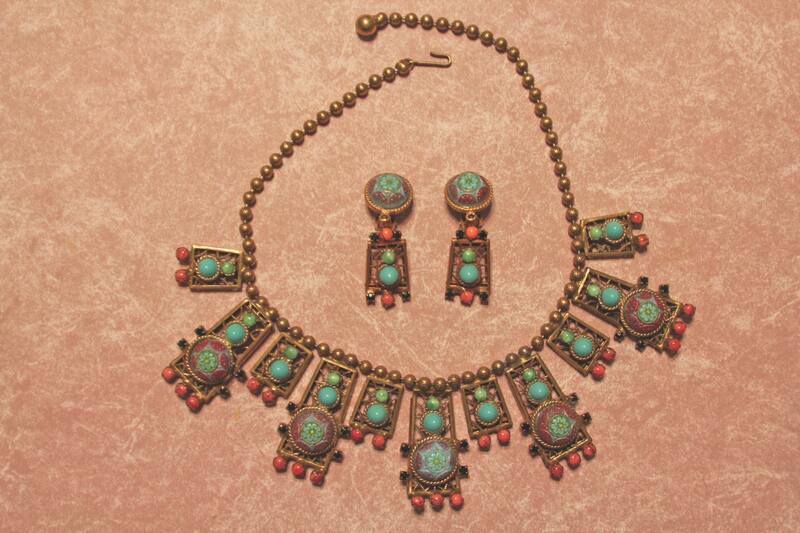 The round carved stones are called Moroccan matrix, they are turquoise and are flanked with smaller turqoise and coral stones, each of the dangling design elements are articulated for a comfortable fit. This necklace measures approx 17 inches long and has wonderful 2 inch dangle earrings to match! 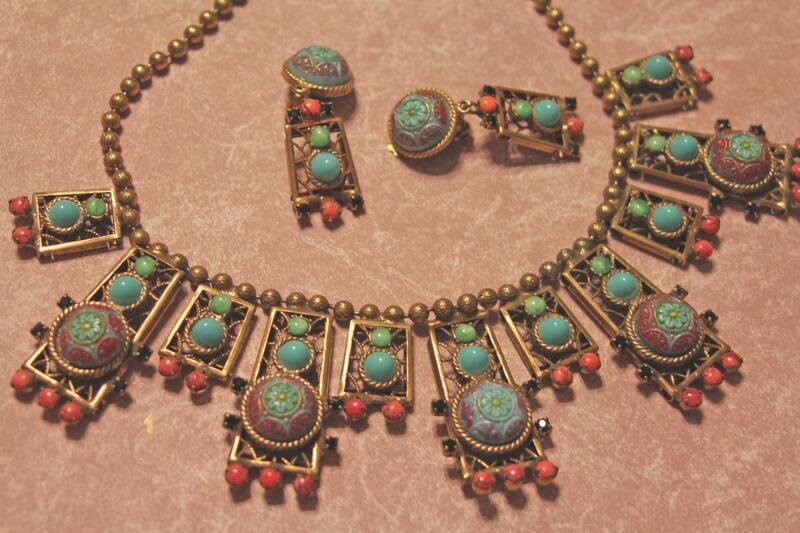 This set books for $1000 in the old books, its a special one with the matching earrings.